One of the most dangerous winter driving hazards is to skid. If it happens at a high speed, the result can be deadly. But most skids can be avoided by simply adjusting to driving conditions and knowing how to recover from a skid. Skids are most likely to occur on curves and turns, so slow down ahead of time to prepare for them. Then, when in the curve, accelerate slowly and steer steadily with no abrupt change in direction and, especially, no abrupt braking. Driving smoothly in general can help prevent skids. Don’t steer against the skid. Instead, immediately take your foot off the accelerator and steer in the direction the vehicle is sliding until you feel recovery of traction, then slowly straighten the wheels until you recover complete control. If the back of your vehicle is fishtailing to the right, turn the wheel gently in that direction until your car recovers. If braking is necessary before traction is recovered, apply the brake pedal cautiously so you do not lock the wheels and intensify the skid. You will also have better brake control in a skid situation if your vehicle is equipped with anti-lock brakes. You should constantly be on the lookout for areas that might induce skidding, such as unexpected ice patches or piles of wet leaves, which tend to be found in shady areas or on flyovers. Keep in mind that wet ice, warmed by the sun, is twice as dangerous as completely frozen ice. Be especially alert whenever there is any kind of precipitation during cold weather. Since accidents are common in winter, you should be extra cautious while driving. Drive on slippery roads at reduced speed and increase following distance behind the vehicle ahead. This gives an additional space cushion for safe stopping. 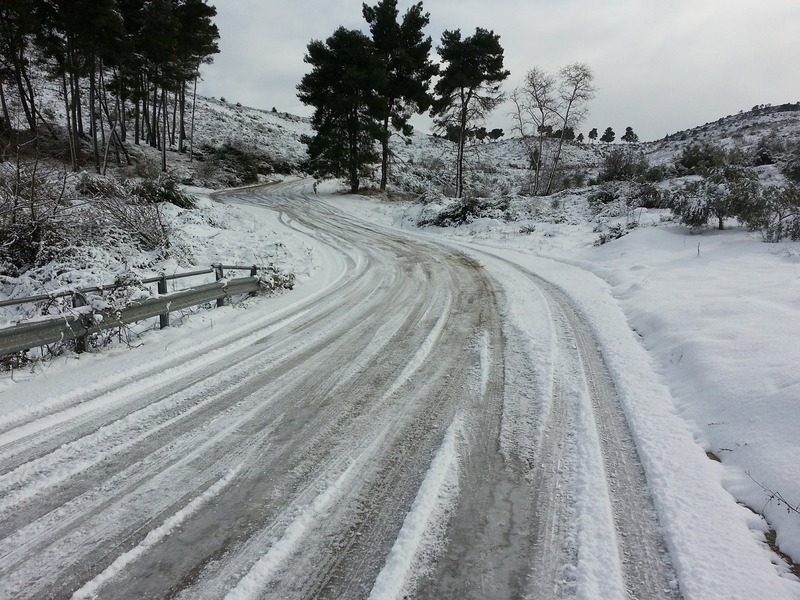 Because winter driving can be risky, it is also a good idea to practice driving in slippery conditions so you are well-prepared and comfortable. A safe stop on icy or snow-packed roads is a tricky manoeuvre that requires skill and good judgement. Anticipate stops by slowing down gradually, well ahead of junctions. And allow for more than enough time to stop safely. Plan ahead of time for lane changes; check your rearview mirror, your blind spots and signal your intentions to traffic behind you. Then, swing over in a long, gradual line. Make the move with the smallest possible steering change and with a light foot on the accelerator. When you drive into deep snow, stepping on the accelerator may cause the wheels to spin, with little if any forward movement. In such cases, avoid over-accelerating. A light foot on the accelerator and in a high gear is most effective. Make sure that you have the correct insurance cover in place to protect you from any accidents which may occur on the road. For a courier insurance quote, please get in touch with the insureCOURIER team by calling 0333 202 3172 or fill in our online form to request a quote and a member of the team will be in touch.